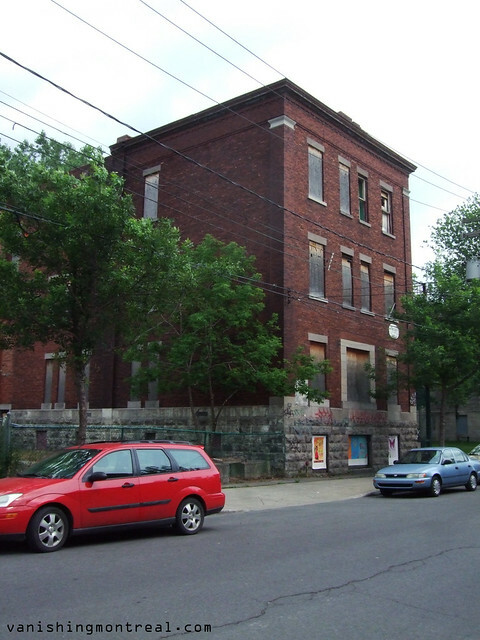 This building on de Laprairie near Augustin Cantin in Pointe-St-Charles has been abandoned since forever. I remember it was abandoned back in the mid-1990s. 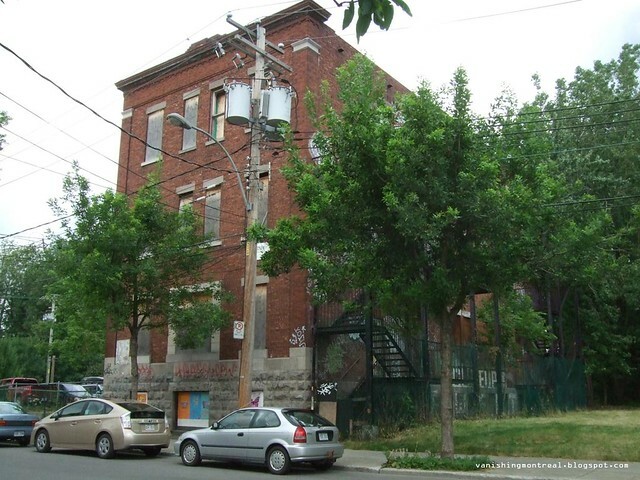 The Waseskun halfway house for Aboriginal criminals was located there before they moved in the top floor of the old Garda building in Saint-Henri on rue St-Jacques, which was closed at that location a decade ago. The halfway house is now situated in the town of Saint-Alphonse-Rodriguez. And yet the building still looks pretty solid. I love these red brick buildings. I lived across the street from this building. 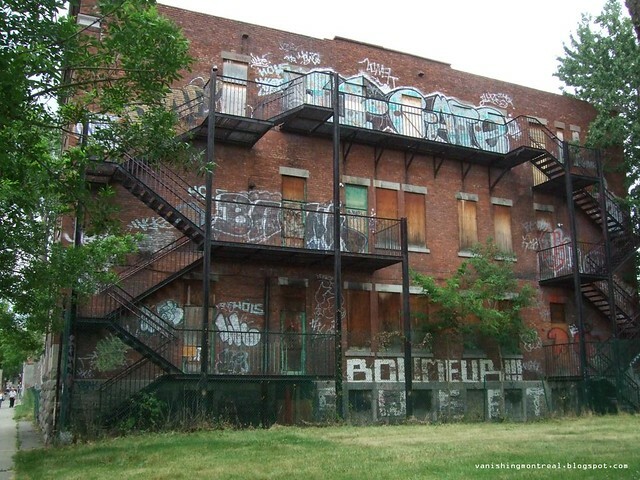 There were some squatters in there at the time early 2000s). It was also used by some of the local crack whores for quickies. We used to harass them & their Johns on their way up the stairs. There was a big fire on St Paddy's Day , (maybe 2003 or 4) and it was then pretty much officially abandoned at that point.